Make a Facebook post telling everyone that you’ll be offline for a while and if it’s dire to text me. Don’t put a big spiel about how you’re so stressed out and what not. A- not many people care and B- you don’t want gossip to stress you out more. 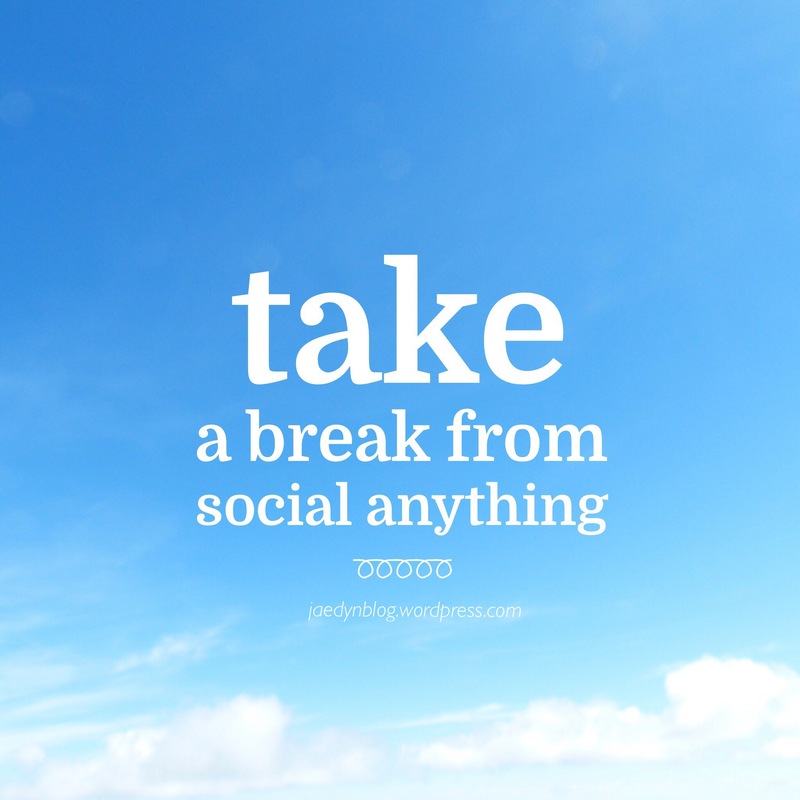 For Snapchat make a quick post (maybe 5 seconds) saying you’re taking a break from Snapchat. Quick, easy, and one less person’s story to look through. If you feel like you have to, post something on Instagram and caption it that you’re leaving for a while. If you feel scared to do this because of the thought of loosing followers, put how long you’ll be gone so they know not to unfollow you. For your friends, you can let them know why you’re stressed so they know to leave you alone for a while. If you just explain to them, they’ll understand. If you don’t tell anybody you’re stressed and then lash out at everybody, you’ll have problems. Be smart. If you don’t act like it’s a big deal, nobody else will. 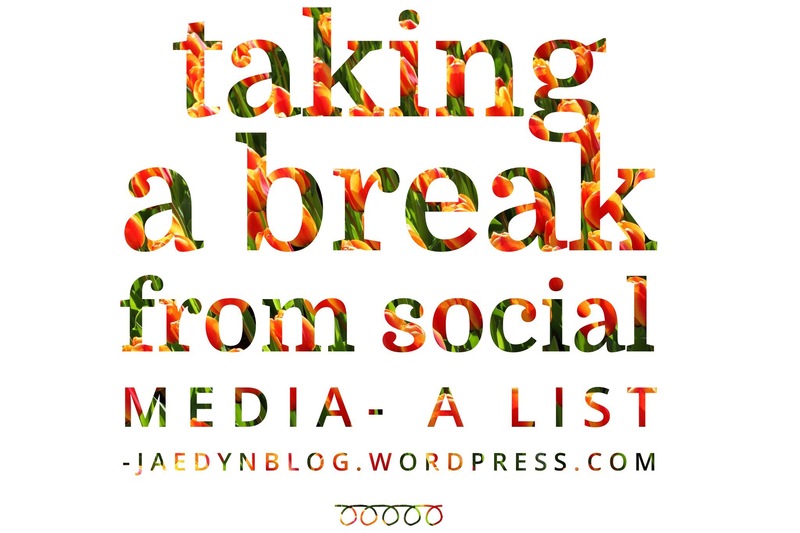 If you really feel like you need a break, I would keep it to at least two days away from social platforms. Make sure you tell your parents, no matter how old you are, because they’ll worry about you and you know it. You can temporarily deactivate your Facebook page, and log in with your normal username and password when you’re ready to come back. I’m going to keep using Pinterest because it’s not social to me, it’s creative, and Kik because it’s my little sister’s way to talk to me. So, I’m just getting away from the ones that have constant notifications, people asking you questions in comments, tagging you, etc. Staying in touch wth your family and scrolling through pictures is totally fine in this case. Aaannnd I’m still going to blog. Making blog drafts is cathardic as heck (I’m doing it right now!). Next Post 10 Valentine’s Day Outfits!